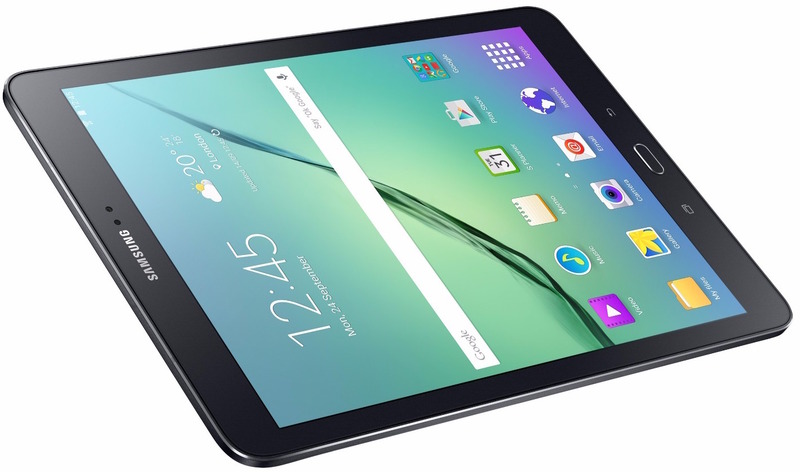 Samsung on Monday announced a next-generation Galaxy tablet to take on Apple’s iPad Air 2. 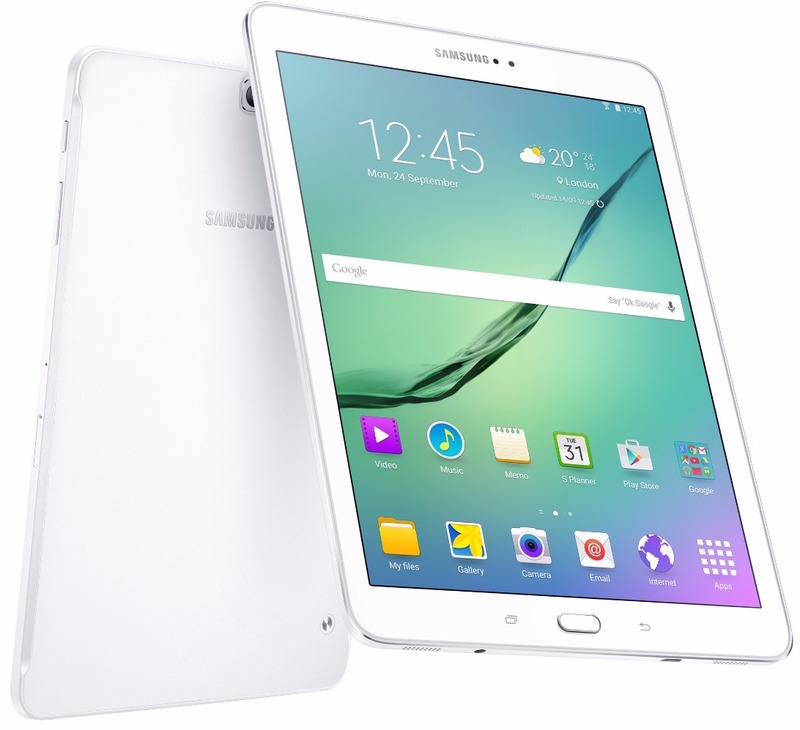 The Galaxy Tab S2, driven by Android 5.0 Lollipop, is even thinner than Apple’s device: it measures an impressive 5.6mm thin and includes Samsung’s exceptionally bright and vivid Super AMOLED display in 7.9 and eight-inch flavors. 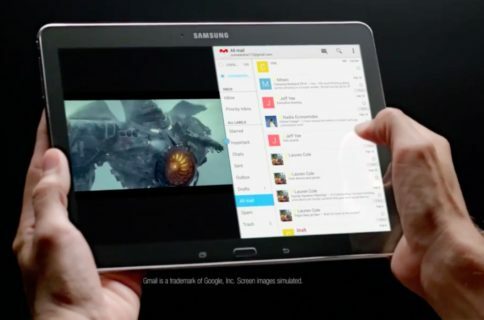 Regardless of the screen size, the new Tab S matches the resolution of full-size iPads at 2,048-by-1,536 pixels though last year’s Tab S came outfitted with a sharper 2,560-by-1,600 pixel resolution displays. The device is powered by an eight-core Exynos 5433 chip with 3GB of RAM, the same processor found inside Samsung’s latest Galaxy Note 4 phablet. The Exynos 5433 is actually comprised of four cores clocked at 1.9GHz that perform all the number crunching and an additional four CPU cores clocked at 1.3GHz, which are used for light tasks to conserve power. Speaking of power, the Galaxy Tab S2 has a 5,870mAh battery. In addition to being ultra-slim, the new Samsung tablet is 169mm wide and 237.3mm tall versus the iPad Air 2’s 169.5mm x 240mm dimensions. The Wi-Fi edition weighs only 389 grams, or 0.56 ounces, which is lighter than the Wi-Fi iPad Air 2 at 437 grams. The LTE edition of the Tab S2 is 392 grams, or 0.85 ounces, versus 444 grams for the Wi-Fi + Cellular edition of the iPad Air 2. The sensor-laden device packs in the GPS, accelerometer, gyroscope and compass, in addition to hall and RGB sensors and a fingerprint reader integrated into the Home button. As far as imaging goes, the new Tab has a rear-facing camera at eight megapixels and a 2.1-megapixel shooter out the front—again, just like the iPad Air 2. The device is available in two storage tiers—32GB and 64GB—but users can take advantage of a microSD card slot to increase storage to up to 128 gigabytes. 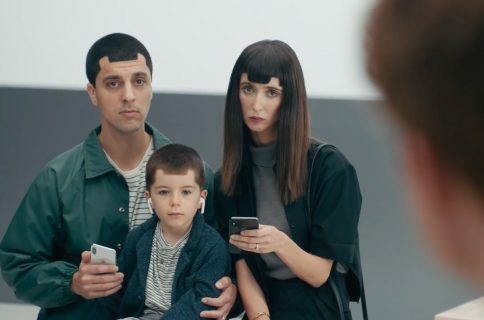 Connectivity features include built-in 802.11ac Wi-Fi, also known as Gigabit Wi-Fi, the latest Bluetooth 4.1 that Apple currently uses only in the new iPod touch and 2G/3G/4G LTE cellular connectivity. Lastly, a slightly bigger eight-inch edition of the Tab S2 is available as well. The Galaxy Tab S is Samsung’s flagship tablet series engineered to compete directly with iPads and challenge Apple’s industrial design and these new devices showcase Samsung’s best consumer tablets yet. Both new Tabs will be in stores in August, with yet-to-be-determined pricing. And what’s your verdict on these new Tabs? Are they better than the iPad Air, do you think?